A month long celebration full of delicious apple recipes, from savory to sweet and everything in between. So today is officially September. As much as I’m slightly sad to see Summer go I’m bursting with excitement for this month, and Fall in general. I’m sure you’ve already figured it out. Apples apples apples. Lots and lots of delicious apples everywhere!! Can you tell I’m just a tad excited? I love apples. I crave Fall in such a serious way because apples are my absolute favorite fruit of all time. If I could extend apple season to the entire year, I’d put up with ridiculous New England winters without a grumble. Okay maybe just a little grumbling, because let’s be real… they’re kind of crazy and unreasonable sometimes. But we’ll discuss that hopefully at a much later date. For now, let’s discuss apples. K? For the next month, celebrate apples right here at Baked by Rachel. Many of your favorite bloggers will be joining me right here to share some scrumptious apple recipes. But in addition to a months worth of brand spanking new apple recipes, there will be some fantastic giveaways. You won’t want to miss those! If you’re itching to get the month started and already have a supply of apples ready to be used (like me!) 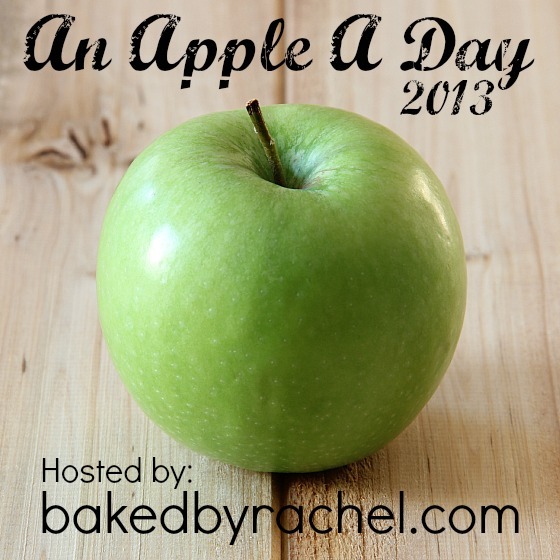 you should check out last year’s apple a day party for a ton of amazing recipes. It’s a great way to gear up for what is coming ahead. In addition to following along everyday right here on Baked by Rachel, be sure to follow along throughout social media! Join Baked by Rachel on Facebook, Twitter, Google+, Pinterest and Instagram! As the month continues, I’ll be updating this page with every new recipe from this year’s party. Pin, share, tweet and + your hearts out to spread the word and love for apples! And of course be sure to follow the hashtag #appleadayparty for updates from myself and this year’s guest bloggers! Are you as excited as I am? I hope so! Love this Rachel. I’m apple-crazy in autumn. Can’t wait to can applesauce, too. Happy September! Woohoo! Can’t wait for all the apple recipes! I am so excited for this! Apples are my jam. I think about this all year long. bring on september! Yay so excited for all the wonderful recipes that fall will bring! Made a apple bread this morning or work with a praline topping smelled delicious made it with Granny Smith apples it came out wonderful. My coworkers loved it. 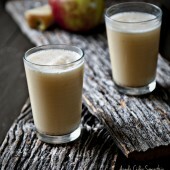 Thanks for compiling and creating such a wonderful group of apple recipes. They will add to the Autumn festivities around here. I’ve made this twice now. First time doubled, second as written. I can only say how sorry I was to not triple! 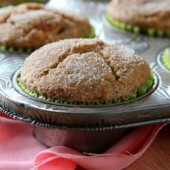 I am not a baker by any stretch of the imagination…but this recipe made me a pro! Excellent and absolutely delicious!